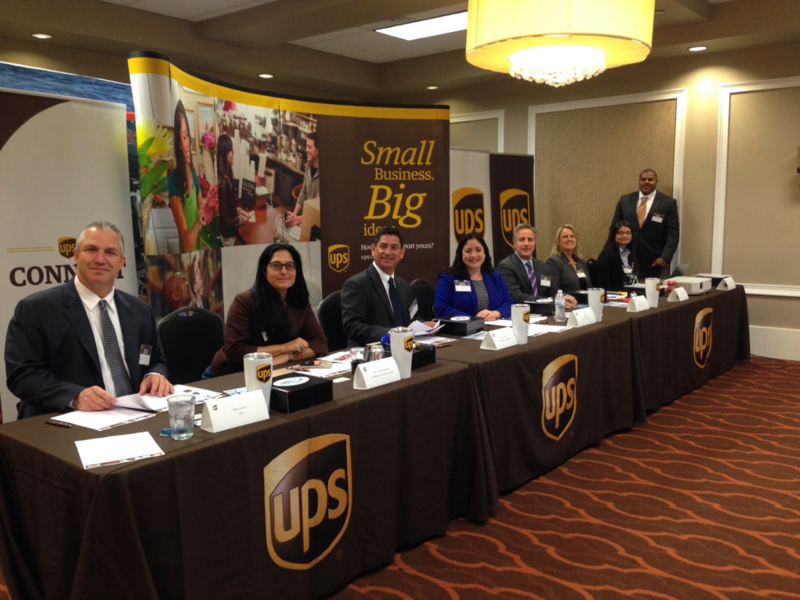 Attorney Michael Santucci recently acted as a judge for the 2017 UPS XPORT Challenge, where small businesses, entrepreneurs, and start-ups pitched their ideas for a chance to win up to $10,000 in export shipping credits to help get their products and solutions across the globe and $25,000 in cash. This year, the Florida District event was held in the Tampa Bay area, in beautiful St. Petersberg, Florida. An esteemed panel of judges choose finalists from regional competitions for a “Pitch Off” event where finalists are judged on various criteria, including their level of preparation for global expansion. Finalists are chosen based off their execution and international appeal. District winners then compete in a virtual contest, with three finalists moving forward to compete in the National Pitch Off. Partnerships, Marco A. Perez, the Head of Procurement USA for Royal Bank of Canada and Mike Horman, the Florida Director of Sales for UPS. This year’s Florida district winner was Nistaa, creators of a waterproof, transparent barrier to protect surgical incisions, catheters, and the like when a patient bathes or showers. Their product is usable throughout the globe and should prove to become a well-known and much used item among hospitals and caregivers. Second place went to Anders Productions, LLC, who make and sell Poolgles, an easy-to-use, floating swimming goggles for children. Third place went to Sprinkler Magician, LLC who make and sell a mosquito repellant and unique delivery system through sprinkler systems. Special thank you from everyone at Santucci Priore, P.L., and to UPS Florida District Marketing Manager, Erick Montealegre for making this happen. Find more information about the X-Port Challenge, click here.